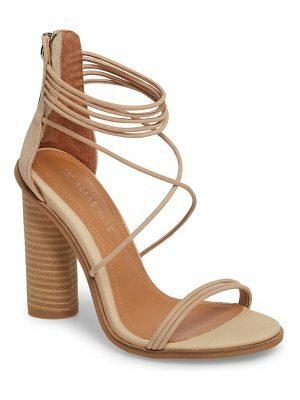 Sam Edelman suede sandal. 4" covered heel. Crisscross straps band open toe. Caged lace-up front with tassel trim. Back zip eases dress. Padded footbed. Smooth outsole. "Azela" is imported.